In need of some different surroundings and taking a chance on the weather, we decided Friday morning that we would get away for the weekend. First thing Saturday morning saw us making a dash for the Lake District, our target - Buttermere. We took it easy on Saturday afternoon but Sunday we were up early to do Red Pike, High Crag, High Stile and back down via Scarth Gap. The day was amazing for weather and it made the views seem even more breathtaking than usual. The decision of whether to bring my digital SLR on the the wild camping trip is well and truly made in light of the stunning scenery - not to be missed. 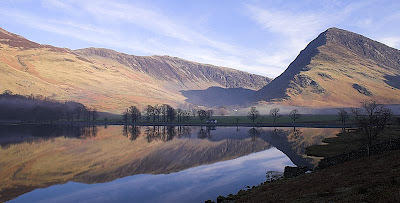 Furthermore I shall be bring tripod and filters and remote release too - much to the annoyance of Paul, who will most likely be wild camping with me in Buttermere. 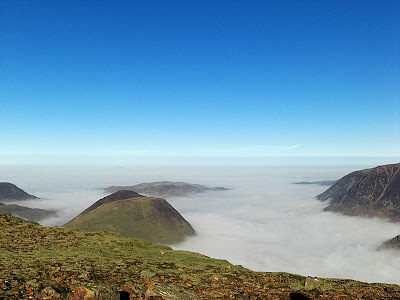 Great blog mate some top.class photos like the cloud inversion over crummock water.